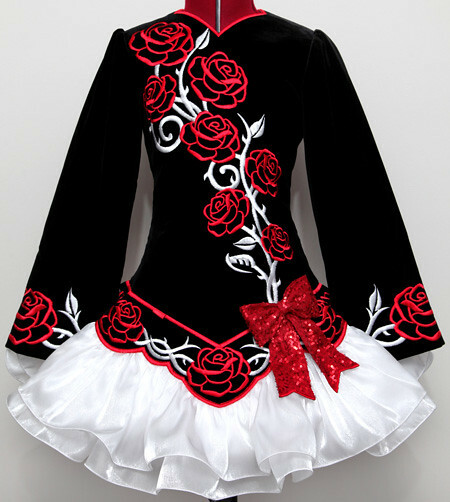 Black velvet bodice and sleeves with gorgeous red and white rose embroidery design. 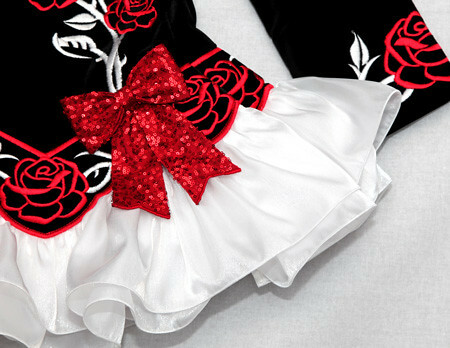 Gorgeous red sequin bow attached to left side of dropped waist point. 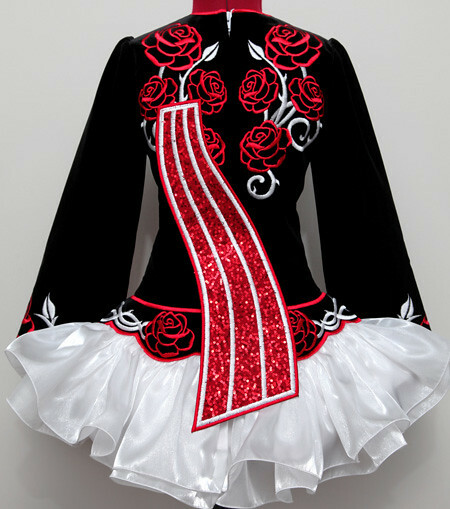 Stiff asymmetrical shawl constructed from matching red sequin with white embroidery. Red and white striped cotton underskirt lining.